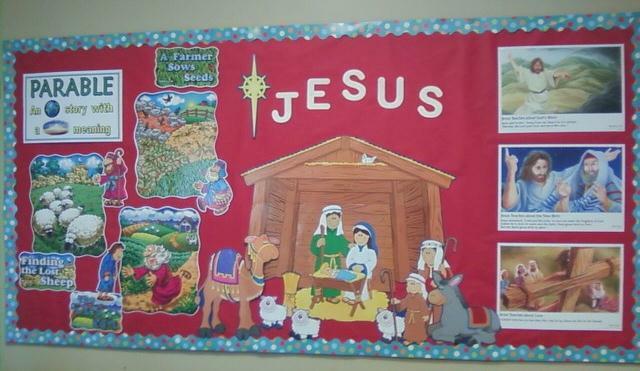 Birth of Jesus bulletin board set and a couple of different posters mixed to make this board. The miracles of Jesus are on the back of the door with posters. This is an oldie but goodie! 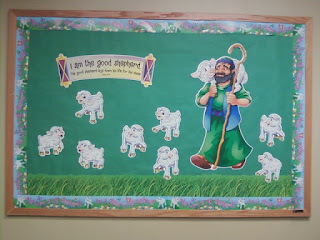 I usually put students names on the sheep and let them take them home when the board comes down, but I have so many in my class this year! That is AWESOME! 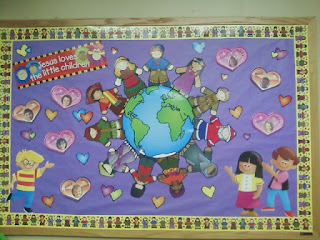 The above is a standard size bulletin board about 7' long. The boards below are 4x8 foot and are used for houses. 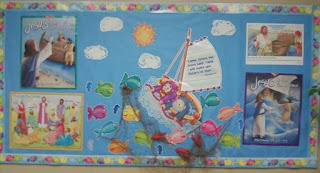 They are black, and are GREAT for bulletin boards. They are cheap, considering how much Cork boards cost and they last forever... and you don't have to trim off the bottom of the 48" bulletin board paper, because it fits perfect! 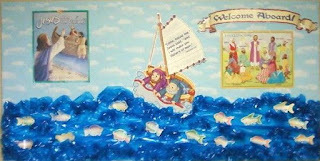 I LOVE this size boards, even though for smaller walls, we have cut the 4x8 in half, which is also a great size! I have also used them tall on a wall, instead of sideways, and that looks nice, too. 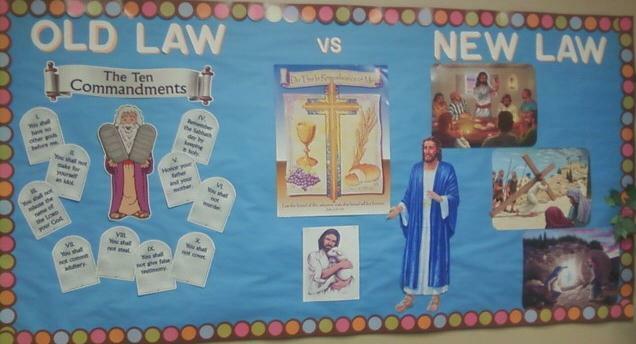 on Old Law and the New Laws by God. 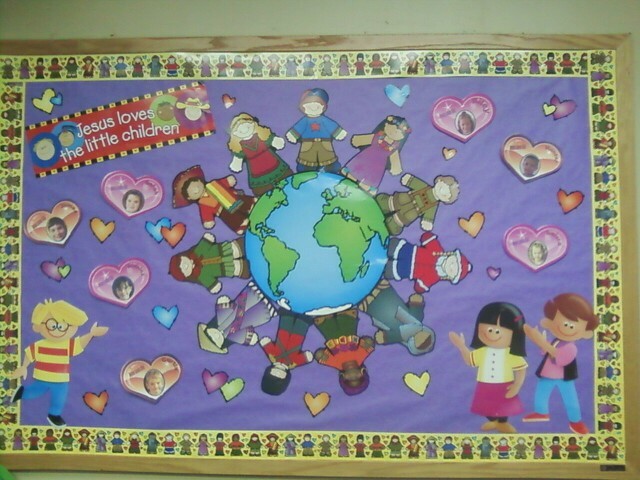 Again, one smaller bulletin board set with posters added for the Disciples of Jesus. Where can I purchase graphics for the above bulletin boards on the birth, miracles, of Jesus.?? I would like to purchase graphics if they are available (somewhere?) for bulletin boards for our Bible classes. Can you give me links?